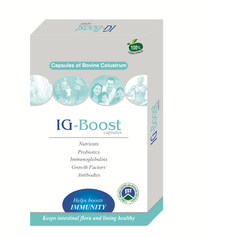 Leading Manufacturer of colostrum capsules from New Delhi. We offer the Colostrum Capsules which are very popular in the market due to their various features. It is free of Pesticide, Gluten and Soya. It is imported from New Zealand. It comes in 100% Vegan capsules. We are looking for Franchisees and Distributors all over India for our Entire range of Products. We are seeking Franchisees in Rajasthan, Madhya Pradesh, Maharashtra, Karnataka, Kerela, Telangana, Goa, Bihar, West Bengal, Kolkata.